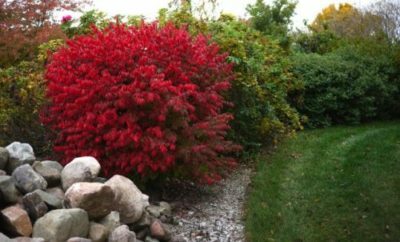 Rose Glow Japanese barberry is a spiny, dense, deciduous shrub known for its beautiful fall colour and winter berries. The green foliage turns to red in the summer, and often hides the tiny yellow flowers that bloom in May to June. 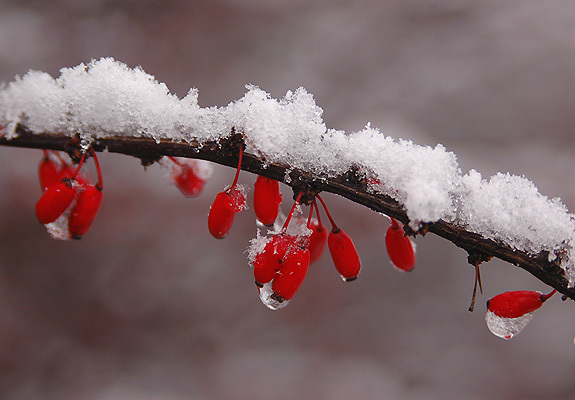 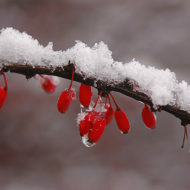 Bead-like, bright red berries form in fall and often last through the winter. 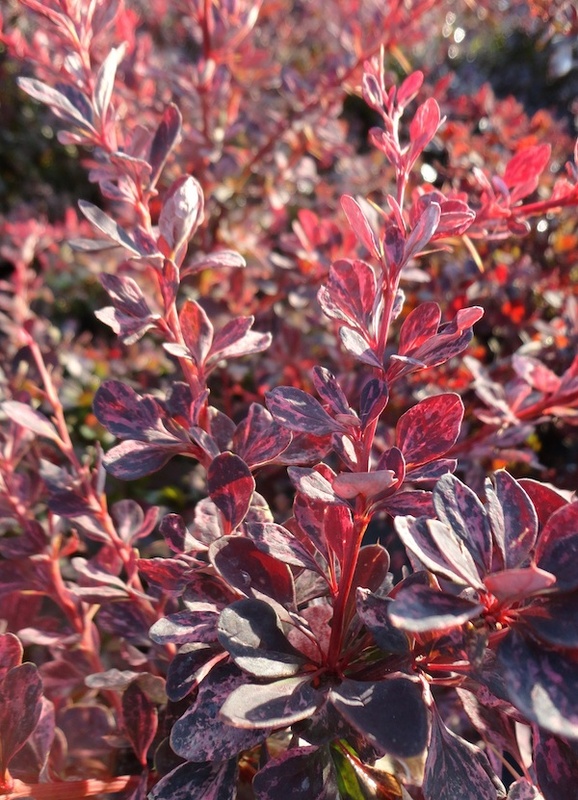 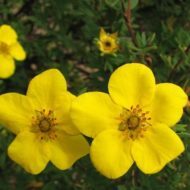 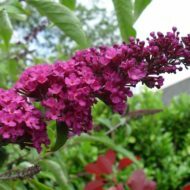 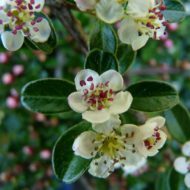 This deciduous shrub grows to 6 ft tall and makes a good specimen or border. 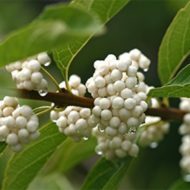 Native to Japan.